"I know that there is a particularly high expectation for Honda to get back that magic it had at one time," says new Americas r&d chief Erik Berkman, left, in Victory Circle with Indy 500 winner Dario Franchitti in 2010. Erik Berkman's iPhone wallpaper isn't of his wife, children or dog. When Honda Motor Co.'s new North American development chief gets a text message, he sees a background picture of the automaker's V-6 IndyCar racing engine. 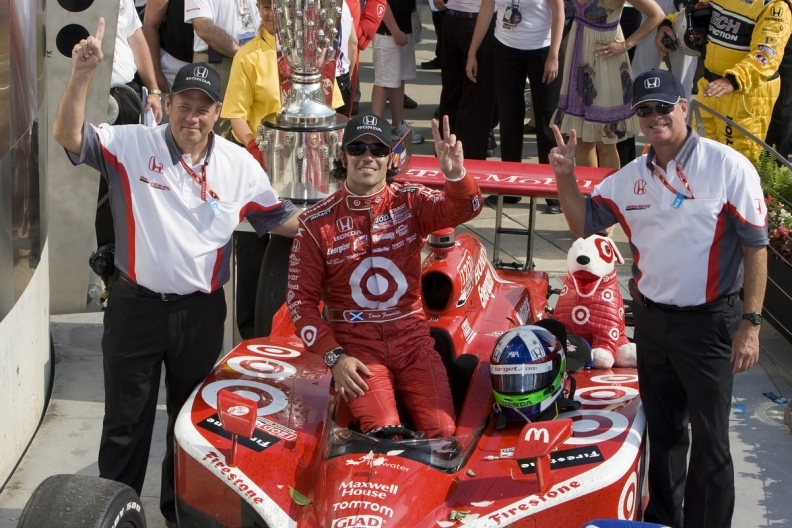 Dario Franchitti won the Indianapolis 500 last month using the engine designed by a team led by Berkman, who was on hand at the famed Brickyard to watch the victory. Motor-sports passion -- central to founder Soichiro Honda, who said, "If Honda does not race, there is no Honda" -- will be an asset if Berkman can apply the same speed and creativity to product development. Honda's first American president of R&D for the region is helping shape everything from a modified Civic and new Accord due this year to an overhaul of the Acura line that includes the NSX supercar. The 30-year veteran of Honda plans to win back its reputation for innovative cars in the face of improving Korean, U.S. and German competition as well as critical reviews. "I know that there is a particularly high expectation for Honda to get back that magic it had at one time," said Berkman, 53, in an interview last month at his new domain, the vast R&D center in Raymond, Ohio. "What are we going to do, complain that expectations are too high for us? That we want low expectations? That's not right." Product development and engine innovations have a special place at Honda, which has been led since its beginning only by engineers, even as tight cost controls appear to have led it to take fewer risks on core models in the past decade. Berkman: "There's an opportunity with the minor model change to tweak Civic. If we do that, we'll knock off one more criticism." Along with overseeing eight U.S.-developed Honda and Acura models, Berkman has to find a way to add content and upgrade interiors within a company that controls spending so tightly it made money even through the recession, natural disasters and exchange rate pain. Honda is the only major automaker to have never had an annual loss. While Honda and Toyota Motor Corp. won fans in the 1970s for durable cars that were inexpensive and fuel-efficient, Honda boasted the sportier ride, reflecting the founder's racing fervor. Honda's R&D Americas president has to get that back. "Honda is off the rails; they still build a great car, but they aren't leaders," said John Wolkonowicz, an independent analyst in Boston who specializes in automotive history. "In the '80s Honda, had the best cars on the market. They drove the best, had great fuel economy and people really loved them." While Honda's U.S. sales in 2007 more than doubled the combined U.S. deliveries of Hyundai Motor Co. and affiliate Kia Motors Corp., the Koreans came within 1 percent of Honda last year. The Accord, the best-selling car in the United States in 2001, has been topped by Toyota's Camry every year since then. Toyota's Corolla has exceeded Civic's U.S. sales annually since 2003. Berkman may be the ideal man for the job he started April 1, succeeding Hiroshi Takemura, who returned to Japan as deputy director of automobile operations. The compact engineer with close-cropped brown hair joined Honda in 1982 when it started making cars in the U.S. in Marysville, Ohio. His only automotive job before that was with a company John DeLorean hired to turbocharge DeLorean Motor Co.'s DMC-12 gull-winged sports cars. 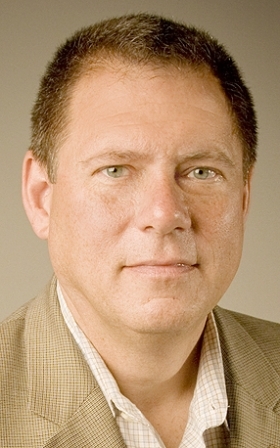 After starting as a production engineer, Berkman moved to Honda's U.S. r&d unit in 1991, working on models including the 1994 Accord wagon, 1999 Odyssey minivan and 2001 Acura CL coupe. His biggest success was leading development of the 2004 Acura TL sport sedan. Before it became one of Acura's best-selling cars, it was far from universally loved within Honda. High-end content, such as performance brakes by Italy's Brembo SpA, was seen as too costly. The exterior styling was too edgy and polarizing. "It was so controversial, it almost didn't happen," Berkman recalled. "It was too much for some people." Reactions to the TL's design in consumer clinics didn't clarify the situation, Berkman said. "Half the people said they loved it, half of them hated it," he said. Ultimately, his vision of the car was approved for production. More than 77,000 were sold in its first full year, making it 2004's top luxury sedan. "I fought for the one I wanted, and it worked," he said. Honda is counting on those instincts to come through again. 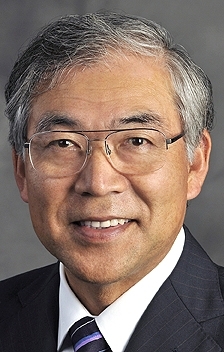 Honda President Takanobu Ito, who worked with Berkman at the U.S. r&d center in the 1990s, and Executive Vice President Tetsuo Iwamura, head of North American operations, have high expectations for him. "Through his career, he has a very good understanding of Honda," Iwamura said in a March interview at Honda's U.S. headquarters in Torrance, Calif. "What we expect him to do is, through this good knowledge and experience, fulfill his dream of making North America strong." Honda is looking better in 2012 already. With the factories again running at full capacity, U.S. sales have expanded 10 percent this year, buoyed by a 48 percent increase last month. While the company has easy comparisons with last year's disaster-limited results, it has three models among the top 10 sellers in the U.S. this year: the midsize Accord, CR-V compact SUV and the Civic. The 2012 Civic drew a harsh review in Consumer Reports magazine in August 2011 and failed to win the magazine's "recommend" designation. The non-profit publication for decades consistently placed Honda models among its top picks. The magazine said the new car, compared with the version it replaced, had a choppier ride, less agility, longer stopping distances, more road noise and a worse interior. Berkman has helped to fix it midstream. The model's mid-cycle refresh, due in about three months, was moved up by about a year. Among the improvements will be better interior materials, he said. "There's an opportunity with the minor model change to tweak Civic," Berkman said. "If we do that, we'll knock off one more criticism." He's planning changes in styling, materials, driving dynamics and technology across the Honda and Acura model lines. That begins this year with a revamped Accord featuring Honda's new "Earth Dreams" family of engines and related technology, including continuously variable transmissions, the company's first such powertrain change in a decade. Honda previously used CVTs only on small cars made in Japan. Starting with the 2013 Accord, the new transmission, with an infinite number of gear ratios, replaces the current five-speed automatic to aid fuel-economy and performance, Berkman said. The engine line, with displacement ranges from 660 cubic centimeters to 3.5 liters, is being added to every new Honda model starting with Accord. "You're going to find that Accord is a very well-balanced product that is the best overall product in everything, whether we're talking about interior packaging, content of the vehicle, the fuel economy of the vehicle," he said. It "will be one of the most feature-rich vehicles we've ever made," he said, without elaborating. 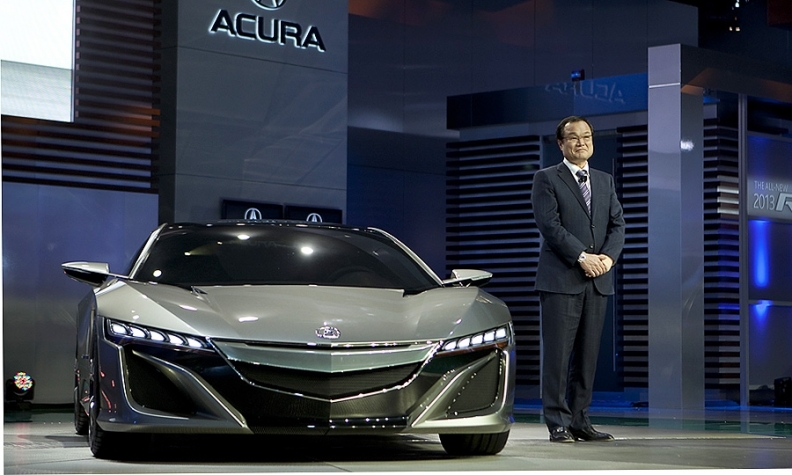 Honda is reviving the Acura NSX supercar as part of a bold plan to rejuvenate the brand. Acura, Honda's premium brand that some auto reviewers don't regard as a full-fledged luxury line, will also see new styling and benefit from technology such as the high-performance hybrid system going into the NSX, he said. The car, likely to cost more than $100,000, will be raced as well as sold, Ito said in Detroit in January. The NSX will go on sale in about two years, Honda has said. An ad for the car that ran during this year's Super Bowl featured comedians Jerry Seinfeld and Jay Leno. Berkman said his team is eager to shake off the idea that Honda's vehicles have become bland or lack the value of its glory days. "Having high expectations or pressure is what's necessary to get us to a point where we're performing," he said. "We want everybody to fall over and go: There it is again. There's that Honda we used to praise."